The contemporary Irish abstract landscape artist and genre scene painter John Shinnors was born in Limerick in 1950. He studied drawing and fine art painting at the Limerick School of Art and Design, and during his career has enjoyed regular solo exhibitions throughout Ireland as well as a wide range of group exhibitions. He is a member of Aosdana. As a painter, John Shinnors is primarily a landscape artist whose focus has become increasingly abstract. Typically, he creates several preliminary watercolour studies before executing his large scale oil painting works, usually on stretched linen or cotton. His paintings, which also include interior scenes, exhibit rich chiaroscuro qualities and dramatic contrasts between light and dark. John Shinnors' artworks have appeared in one-man exhibitions in many galleries, including: Goodwin's Gallery, Limerick (1978); Belltable Arts Centre, Limerick (1984); Taylor Galleries, Dublin (1998); Taylor Galleries, Dublin (2000); Crawford Art Gallery, Cork, (Travelling) (2003); The Hunt Museum, Limerick (2003); The Hunt Museum, Limerick (2004); Taylor Galleries, Dublin (2004); Crawford Municipal Art Gallery, Cork (2005); Vangard Gallery, Co. Cork (2003). In addition he has shown at numerous Royal Hibernian Academy (RHA) and Oireachtas shows. 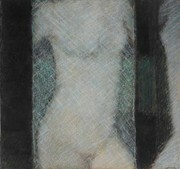 John Shinnors' work is represented in many public and private collections such as: Arts Council of Ireland; National Self Portrait Collection, University of Limerick; Office of Public Works; AIB (Allied Irish Banks); Ulster Museum, Belfast; Limerick City Gallery of Art (includes National Collection of Contemporary Drawing). He was the subject of the RTÉ1 documentary "Split Image John Shinnors". He is also involved in the promotion of the arts through the Shinnors Scholarship. He lives and works in Limerick. The highest price paid at auction for a painting by John Shinnors was recorded in 2008, when his work, entitled Estuary Forms - Limerick, was sold at Morgan O'Driscoll, in Co Cork, for €70,000.  For details of other semi-abstract painters, see: Irish Artists: Paintings and Biographies.  For more about abstract artists like John Shinnors, see: Irish Art Guide.